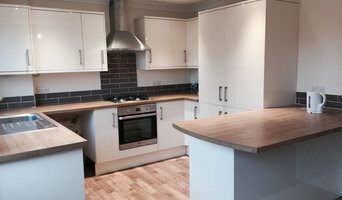 HWB are extension, lofts and renovation specialists. We pride ourselves on delivering high-quality design and construction with a full guarantee. Working closely with our clients, HWB can look after the project from planning to construction and project management, and through to completion. Dedicated and focused, our vision has always been to be a dynamic and innovative organisation. Our executive team comes from diverse backgrounds such as design, engineering and management. Their joint experience is well over 20 years and brings a high level of expertise which is applied to each project at all stages of the development process. We also have a kitchen and bathroom showroom in Northolt, North London. We'd love to meet you and discuss your project! We provide all levels of project management, total property renovations, kitchen and bathroom refitting. We specialise in bespoke and specialist rooms and with an eye for interior design we always get it right. Lux Construction is a long established company, offering the unrivalled project management for high end and bespoke residential building projects. Our experience includes grade II listed buildings in elite London areas The members of our dedicated team of project managers tailor our services to accommodate the client’s specific needs. We are able to adapt the project throughout the build in order to achieve the most desirable final results. The care we put in our work is strengthened by our family-oriented approach; we personalise our services in how we organise our collaborations, from estimations, budgets and deadlines to construction challenges and solutions. Our company prides itself with our team’s remarkable expertise, understanding of quality and passion for our profession. Together with the implementation of new technology, our craftsmanship and reliability guarantee outstanding results, proven by a history of satisfied clients throughout London. Please visit lux-construction.uk for more information. CUSTOM RESIDENCES CREATING A CUSTOM RESIDENCE… THE JOURNEY STARTS HERE Whether you are interested in refurbishment, developing a plot of land, or extensions we have the expertise to help achieve what you are aiming for. We offer a friendly and efficient service to help navigate the process of creating your dream home from start to finish. We appreciate that in today’s 24/7 business world that time is very precious and we are here to help wherever we can to save on the time clients have to spend on their projects as well as time saved building custom residences. With our many years of experience we can help minimize costs it takes to complete a project without compromising the quality of the construction. We can simplify the process to help a client without first-hand knowledge of the industry make the right decisions to achieve their desired home. Throughout the years we have developed relationships with many architects, sub-contractors, engineers, builder’s merchants and other quality industry professionals whom we can rely on to carry out works to the standard we have set. These contacts help save time and money throughout any projects we oversee. We are more than happy to help you achieve what you want so please don’t hesitate to contact us with any questions you have. We are a bespoke building company that specialise in residential home renovations, attic conversions, basement excavations, house extensions and full home remodels. We cater to all of your build requirements; the process with us is fully managed, guaranteed and seamless. We provide a step by step service that keeps our clients informed and confident. That is why we carry out some of the highest quality work in London. The service we provide is 100% customer orientated. We pride ourselves on our reputation, due to our attention to detail and unrivalled service. Please get in touch to let us help you! StuartBarr CDR (Est. 2002) is a multi-faceted construction company with expertise in project management and all aspects of construction work. Based on the Oxfordshire/Buckinghamshire border, StuartBarr CDR’s contracts extend through London and the Home Counties, encompassing residential work from renovations and extensions to new builds and larger scale commercial projects. StuartBarr CDR is proud to have developed a strong reputation for heritage work and eco-building. Where required, sister companies, BarrJoinery and BarrKitchens, provide seamless support for the complete construction, fit and finish of each project. If you are looking to convert, extend or refurbish your property, we can be your expert partner through every phase of the project. We have the full palette of expert building services to help you meet and then surpass your expectations. If your project involves a listed or period building, we will relish the opportunity to conduct the structural and aesthetic repairs while staying perfectly true to the original stone, brick and woodwork, and any other features that make your property so special. At Progressive Design, we set ourselves the very highest standards, not just on craftsmanship, but also in terms of meeting deadlines and budget requirements. Magic Projects offers unrivalled excellence of service in residential construction and refurbishment. 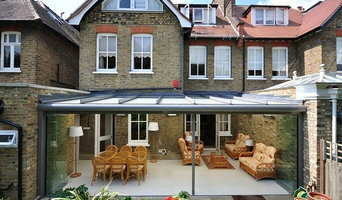 Based in London we pride ourselves in creating truly unique and 'magical' homes. Magic Projects strives always to live up to our name. We love challenging projects that require innovation, contemporary technique and proactive problem solving. Our transparent and client focused approach means that we deliver personalised quality. Our magical formula is simple: we put our customers first and back it up with tons of hard work and extreme levels of efficiency. We truly care and engage with out clients to exceed the expectations and provide very personal service on the most personal of assets - home. Got a project in mind? Get in touch and let's talk about it! Ross Taylor Homes is a family run business with many years of experience in the construction industry. We offer a friendly and professional service that will provide you with your dream home whether that means building it from scratch, extending your existing home or improving what you already have. We will take care of every detail whatever your requirements. With meticulous attention to detail we offer a one stop shop which gives our clients peace of mind knowing they only have to deal with one point of contact. PEAKE Projects are an established and experienced team, having successfully completed more than 250 projects in London over the last 15 years. 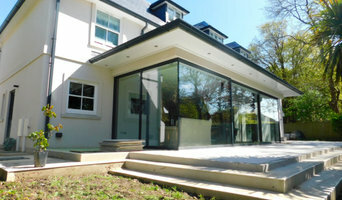 We work with a highly skilled in-house team of builders and craftsmen, and work alongside several architect firms. Our projects vary in size and scope, from bespoke windows, staircases and other smaller joinery projects, to full refurbishments and new build homes. We are passionate about creating a home or space which is perfectly tailored to your needs. We take care to make the process as efficient as possible, always working with a professional manner and finishing our work to the highest quality. We pride ourselves on completing projects to a high level of detail, within budget and on time. Whether you are looking to do a complete refurbishment, or an interior or exterior redecoration, we'd love to hear about your project. Contact us today! Finch Lockerbie Ltd provide versatile, high quality construction and refurbishment services for our Clients and their teams within London and the Home Counties. We have near-on 100% levels of repeat business which we believe is a direct result of two things: the passionate approach we take in delivering our service and our willingness to truly integrate with our clients and supply chain on every project. Our clients range from private individuals to blue chip corporations and their professional consultant teams. We have an industry-leading level of staff retention and everyone in our business from Directors to Site Labourers share in the ethos of our Core Values. We continually seek ways to exceed our client’s expectations and look to deliver sustainable projects as we create an environment for future generations. We welcome feedback on everything we do and invite you to provide this via our Facebook page or in person at our offices. About Us TEMZA offers a wide range of build and refurbishment services for properties located in London’s most exclusive locations. Our in-depth knowledge and expertise ensures the delivery of unique, functional and high-quality spaces. We work to execute every project to a premium industry standard, on brief, on time and within budget. For us quality is using only the best materials, executing every build process to premium standards from the beginning all the way through to seamless finishes. Our Clients We recognise that communication and collaboration with our client and their design team is an essential element to the success of every project. Our focus on giving exceptional customer service has allowed us to grow by receiving most of our new projects from the referrals of our satisfied clients and repeat business. Our People We invest in the continuous development and training of our people who form the reliable, highly skilled and dedicated TEMZA team. Our company has a strong committed relationship with its suppliers who source only the highest quality materials, and long-standing trade accounts ensure that our customers’ money is used wisely. Contact Us We are very enthusiastic about what we do with a passion for quality projects and a highly professional and friendly approach with our clients. For more information contact us today. Clearly Renovations is a building company which delivers its commitments to a very high standard, from the attention to detail, to the excellent service we provide. We can extend, convert or simply renovate your home, including architecture, design, loft conversions, rear and side extensions, kitchens and bathrooms, and decorating. Why choose Clearly Renovations? 96% Client Referrals You can choose from any of our previous clients to speak to in person. We can show you current and past developments. Finish On Time and To Budget Through detailed MS project planning, we define the critical path of your project before it starts and use project management skills throughout to ensure we deliver on time. Client Focused We are an honest and professional team who work closely with clients to achieve strong communication and a hassle free approach to renovating. We pride ourselves on understanding and responding to client's needs throughout the project. We Can Provide All Services - Design and Build You may need an architect to design your extension or to draw up a specification, and then apply for planning permission. Working with highly sought after Architects, we can design and build your home, providing every trade from our highly skilled workforce to finish your home to an exceptional quality. Maximize Property Potential Drawing on expert local market knowledge, we can offer advice on how to maximise the return on your property, helping you to develop your ideas and work out how to achieve them to ensure a good return on your investment. Publicity & Awards Clearly Renovations have been featured in articles in Kitchen, Bathroom, Bedroom magazine, Nov 2008 & Feb 2017, which covers a Victorian house renovation project from start to finish. Clearly Renovations have also been featured in Grand Designs Magazine, May 2011, covering a loft conversion project. In 2012, we also finished a renovation to the well-known designer Orla Kiely featured in the Sunday Times Magazine. In 2016 our Notting Hill front to back garden basement was feature in the Sunday Times Property Supplement. In Feb 2017 our Portobello Rd Roof top was featured in House and Garden. Why not build you own house with the help of Beaconsfield, Buckinghamshire builders? Builders in Beaconsfield, Buckinghamshire can be employed to handle a wide range of projects; from knocking down a partition wall to building a kitchen extension, but you’ll certainly need the help of a trusted house builder if you plan to build your own home from the ground up. But why would you take on such a task? This may seem like a daunting task, and admittedly, it’s not for the faint-hearted. But with extensive research, trusted builders in Beaconsfield, Buckinghamshire, detailed budgeting and good judgement you might soon be sitting in the house of your dreams, at a snip of the cost. Your architect’s plans will serve as clear instructions to your builder and, if the former has done their job well, you should also avoid any nasty surprises with the local council. 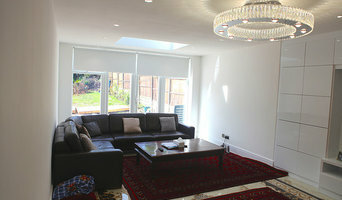 Finding the right Beaconsfield, Buckinghamshire builder need not be a long or difficult process. Personal recommendations aside, a good place to start is the Beaconsfield, Buckinghamshire Home Builders category of the Find a Pro section on Houzz, where you can see their previous work and ask questions. Compile a shortlist of at least three builders in Beaconsfield, Buckinghamshire that can handle the full scope of works, either by themselves or through sub-contracting. It is often a good idea to play devil’s advocate and ask what the builder will not be responsible for, such as structural engineer consultations. Be weary of unusually cheap quotes. Ask for references and stories about how the builder has met different challenges along the way. If you can, you could try to see builders’ previous projects in person and talk to previous clients, or if not, read reviews, recommendations and ratings, and look at detailed photos of projects. How long have you been operating as builders in Beaconsfield, Buckinghamshire? Find builders on Houzz. Narrow your search in the Professionals section of the website to builders in Beaconsfield, Buckinghamshire. You could also look through Beaconsfield, Buckinghamshire photos to find a project you like, then contact the Beaconsfield, Buckinghamshire builders that created it.